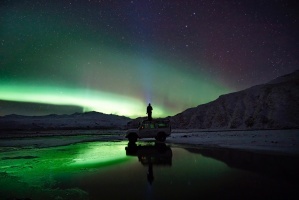 This winter we offer several self drive tours in Iceland. If you don't like to travel with a group and prefer to explore at your own pace but do not want to stay in Reykjavik all the time this might be a great option. Even with a short stopover in Iceland, you can experience natural wonders on this winter self-drive tour. Soak in the soothing waters of the Blue Lagoon, then tour the sites of the famous Golden Circle — the UNESCO-listed Thingvellir National Park, two-tiered waterfall Gullfoss (Golden Falls) and the awe-inspiring eruptions of Strokkur in a field of geysers and hot springs. With the freedom to travel at your own pace by car, explore dramatic landscapes sculpted by ancient glaciers and volcanoes. Hunt for the elusive and unforgettable Northern Lights, and visit waterfalls, black-sand beaches, and glaciers along Iceland’s South Shore. Volcanoes, Glaciers and Northern Lights is a short winter self-drive tour that focuses on the highlights of South Iceland. Surround yourself by the incredible Icelandic nature with its waterfalls, hot springs, lava fields, black-sand beaches. In the evenings, don't forget to scout the clear, dark skies lor the dancing Northern Lights. Explore landscapes and natural wonders during Northern Lights season, while enjoying Iceland’s culinary traditions, on this 7-day driving adventure through West and South Iceland. Drive through Iceland's dramatic southern coastline, see West Iceland's highlights: unique lava formations, the inspiring Snaefellsjokull glacier-volcano, and historical sites from the Sagas. A number of stops and tasty excursions are offered as optional along the way so you can experience Iceland’s burgeoning culinary culture. Exclusive 5-day package of Northern Lights with romantic adventure and luxury accommodations in elegant hotel Borg in Reykjavik and exclusive hotel Ranga resort. Explore the waterfalls, glaciers and black-sand beaches of Iceland's south at your own pace with a 4WD rental vehicle. The natural wonders of South and Southwest Iceland are the highlights of this weeklong self-drive holiday during peak Northern Lights season. Follow Iceland’s coastline through an active volcano zone, as you pass black sandy beaches, snow-capped mountains, picturesque waterfalls, and spouting geysers. Experience the majesty of glaciers. Explore it from ever-changing angles and take advantage of amazing photo opportunities. 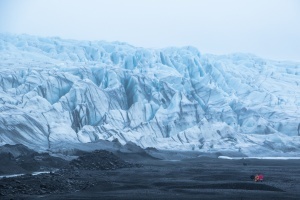 Get adventurous and and join tours taking you onto -- and even inside -- a glacier. 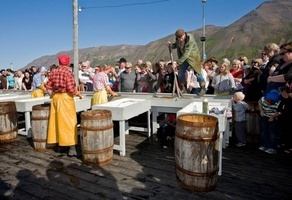 Experience the Golden Circle and Viking Saga sites, the impressive natural wonders of Borgarfjörður. Overnight in glacial locations with fabulous backdrops for northern lights. North Iceland is Icelanders’ favourite winter activity destination. Discover why with this driving holiday while you stay in culturally-vibrant Akureyri and the newly-popular winter destination of Siglufjörður for fun, scenery and local charm. 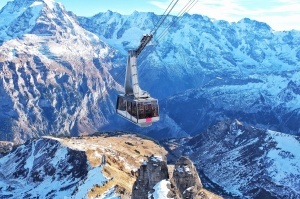 You can even create a flexible ski holiday by adding in the 5x5 Ski Iceland pass and try skiing and snowboarding at scenic resorts, along with ice skating, snowmobiling and whale watching. Exciting 5-day adventure of Iceland's South Coast includes Icelandic horse riding, Golden Circle tour, Jökulsárlón glacier lagoon and a hike on Vatnajökull glacier.